Kevin Rodgers was born in Huntsville, Alabama on January 17, 1972. At the age of six, he wrote a series of unpublished stories (which he called "The Ancient Tomb" series) for his parents and extended family after his mother allowed him to use her typewriter. His family relocated to Greensboro, North Carolina in 1984, where Kevin penned longer stories. In 1986, they moved to Orlando, Florida, which is where the author still resides today. Kevin graduated from Winter Park High School in Winter Park, FL in 1990. He obtained an Associate in Arts degree from Valencia Community College in Orlando, Florida in 1994. Kevin enjoys reading fiction in the fantasy, science-fiction, and horror genres. Kevin's first series "The Ancient Tomb", written when he was six years old, was a serial, each installment of ending with a cliff-hanger that was resolved in the next story. Several characters from "The Ancient Tomb", such as George and Kristina Harrington, appear in his debut novel, CADAVER ISLAND and its upcoming sequels. Throughout his childhood and adolescence, Kevin wrote more unpublished manuscripts: a horror novel called MORBID CURIOSITY (completed in 1999), which he is currently rewriting; an unpublished story called "The Scorpion's Tail" (completed in 1990), which was rewritten and revised to become a published story called "Stargazers"; and a long, unpublished novel called THE RIP IN TIME (completed in 1993), which served as the foundation and inspiration for the CADAVER ISLAND trilogy. Kevin became a published writer in October 2010 when Pro Se Press published his first short story, "Hellhound", in FANTASY AND FEAR 2. His next story, "Demolition", appeared in PECULIAR ADVENTURES 3 from Pro Se Press in December 2010. Shortly thereafter, a tale of horror and science-fiction, "Citadel of the New Moon", was published in FANTASY AND FEAR 3 in January 2011. Pro Se Press published five more of his stories in their award-winning magazine, Pro Se Presents, in 2011 and 2012: "Stargazers", "Paranoia", "Energy Siphon", "Tomahawk Mountain", and "Claustrophobia". In March 2013, Pro Se Press published Kevin's first novel, CADAVER ISLAND. CADAVER ISLAND is the first installment of a trilogy. Kevin's writing is influenced by several writers and television shows. As a child, he watched re-runs of a Gothic soap opera called "Dark Shadows", which sparked his desire to become a writer in the horror and fantasy genres. This desire was reinforced when he watched Tobe Hooper's made-for-TV miniseries, "Salem's Lot", which was based on a novel by Stephen King. Other television shows, such as "Twin Peaks" and "The X-Files", also impacted Kevin's creativity. Stephen King, H.P. Lovecraft, Michael Crichton, and Justin Cronin are the authors who have inspired Kevin to write novels and short stories. Kevin is a writer because he enjoys telling stories. He wants to share his imagination with people and hopefully entertain them in the process. Kevin feels like he has achieved his ultimate goal if he has created a story or a novel that a reader enjoyed immensely. Kevin would love to see one of his stories or novels converted into a movie someday. Kevin is working on several writing projects at the moment. He is currently constructing a short story collection for Pro Se Press, which will be called CHAOS AND DOOM. The collection will include several of Kevin's previously published stories, such as "Hellhound", "Citadel of the New Moon", and "Demolition". He has also submitted three new stories, "Slaughtership", "Bone Crusher", and "The Elgin Curse", to Pro Se for both magazines and anthologies. His horror story, "Evicted Tenants", was accepted for publication by James Ward Kirk Publishing for their upcoming anthology, "Serial Killer Tres Tria". Kevin is currently working on three more stories: a zombie tale called "Jars"; a follow-up to a previously published story, "Stargazers", which will be called "Stargazers at the Carnival"; and a supernatural mystery tale called "The Weeping Lady". Kevin completed the second novel of my CADAVER ISLAND trilogy, THE MASK OF BEELZEBUB, in September 2012, which should be released in early 2014. He is writing the final installment of the trilogy, which will be called THE PLAGUE OF CORRUPTION. Kevin is also working on a novel called THE EMPEROR OF NIBIRU, which is based on "Citadel of the New Moon". It's always the right time for Horror and Monsters...which means...PRO SE PRESENTS FANTASY AND FEAR #2 is AVAILABLE!!! Vampires, wolves, cults, and other fears and phobias come to life in this month's offering from Pro Se! Once again mingling well known authors with new writers to the field, PRO SE PRESENTS FANTASY AND FEAR #2 takes pulp to a terrifying new level! Thrill to the Variety that is Pulp in the latest monthly offering from Pro Se Press! 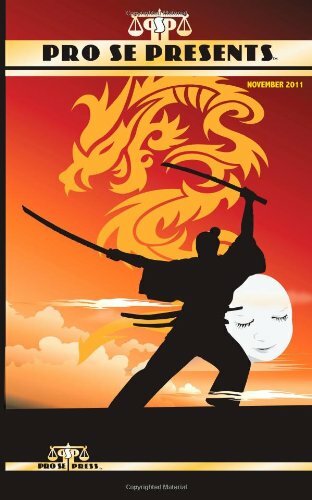 PRO SE PRESENTS #4 features a tale of vengeance from Andrew Salmon, a horror tale of invasion by Kevin Rodgers, a story of fantasy and virtue penned by Nancy Hansen, and a battle between good and evil Japan style by C .W. Russette! Action, Angst, Adventure, All brought to you in PRO SE PRESENTS #4! With Fantastic Art provided by Sean Ali! 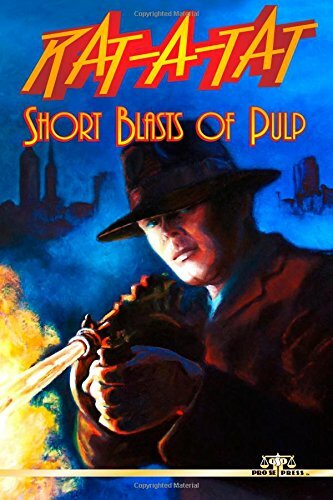 Pro Se Press-PUTTIN' THE MONTHLY BACK IN PULP! Puttin' The Monthly Back into Pulp with Sci-Fi, Mystery, and Good ol' Masked Vigilante Action, PRO SE PRESENT #8 hits the streets, adventure blasting from both barrels! Van Allen Plexico's exclusive epic novella 'Hand Of The Machine', featuring HAWK, his latest creation, concludes ! 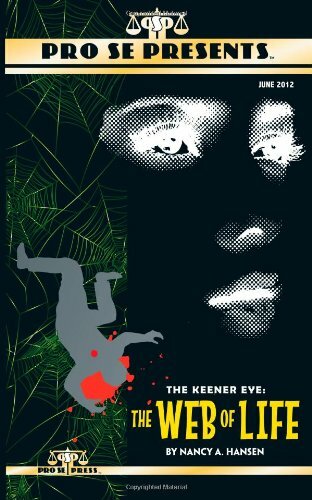 Kevin Rodgers takes us into the terrifying state of mind...or reality....known as 'Paranoia' and New Pulp's Best New Writer of the Year Chuck Miller shares another tale of his wild and wacky hero, The Black Centipede, starring in 'Funeral for a Fiend!' With mind blowing art work provided by Sean Ali and Rowell Roque, PRO SE PRESENTS #8 is almost too much Pulp to handle! 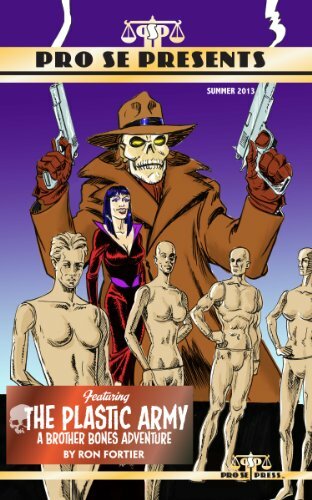 Keeping its promise of 'Puttin' The Montly Back Into Pulp', Pro Se Presents finishes out its first year with two fisted action, strange mystery, science fiction terror, and the return of a classic New Pulp Character! Ron Fortier's Brother Bones leads off this month's issue in a brand new story entitled 'The Butcher From Bavaria!' Kevin Rodgers introduces readers to the mystery and horror of 'Energy Siphon' and Don Thomas rounds out the issue with the introduction of Nathaniel Dante, a stranger who visited 'The Town That Demanded Recompense'! Featuring Art, Design, and Formatting By Sean Ali, PRO SE PRESENTS TWELVE is the crowning achievement on the magazine's first year! Pro Se Presents- Puttin' The Monthly Back Into Pulp! 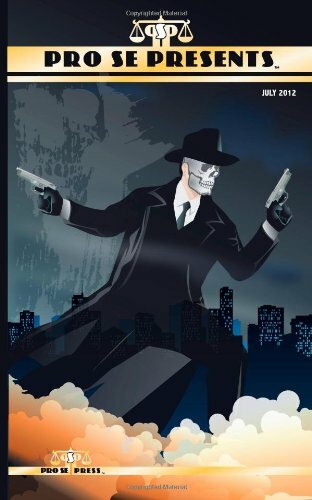 Pro Se Productions Proudly Presents CADAVER ISLAND, the debut novel from Author Kevin Rodgers! In the year 2212, long after the world has been reshaped by seismic cataclysms and polar shifts, Princess Angelique Bosc recovers from a terrible Hovercraft accident, which left her injured and near death. Her friend and physician, Dr. Laurent Stine, used his skills as a robotics engineer to replace her damaged organs with android components. Angelique realizes that her mechanical heart will require a fresh battery pack within 48 hours. 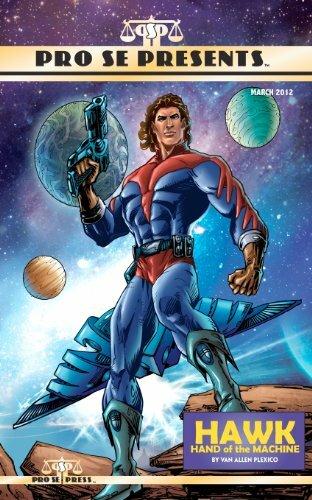 However, a loathed and exiled warlock, Xavier Thames, steals all of the battery packs and transports them to his castle, Thames Keep, in order to build a time machine. Angelique, Dr. Stine, and their allies are forced to embark on a long, perilous journey to Thames Keep located on Cadaver Island. Can they reach Thames Keep and replace Angelique's battery pack before she goes into cardiac arrest? Cadaver Island is the first installment of a trilogy by Author Kevin Rodgers, who introduces readers to a fractured, ruined world where forgotten, legendary creatures live and thrive in towering mountains, magical forests, and barren deserts. Angelique Bosc and her allies will traverse harsh, nightmarish landscapes to discover the secrets of the past, stabilize events in the present day, and unlock the mysteries of the future. Featuring stunning artwork by Adrianne Soares of Fitztown and mindblowing design and format by Sean Ali and ebook formatting by Russ Anderson, Cadaver Island is a mind blowing futuristic horror thriller guaranteed to chill and amaze! 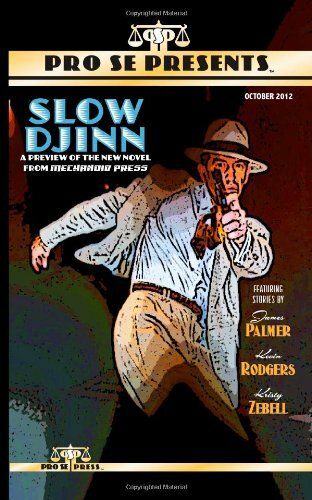 From Pro Se Productions, a leader in Genre and New Pulp Fiction! 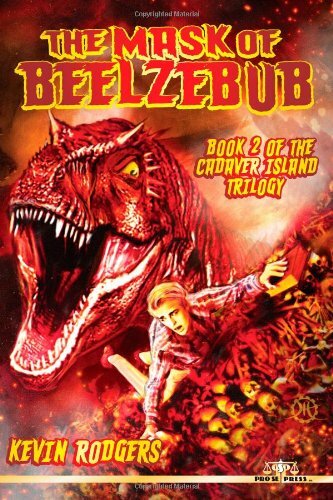 THE MASK OF BEELZEBUB is the second installment of a trilogy by author Kevin Rodgers, which expands a post-apocalyptic world where powerful demons, prehistoric beasts, and enormous insects thrive in fiery chasms, subterranean gardens, and giant hives. Dr. Laurent Stine and his allies will explore the depths of the Underworld to defeat the temptations of sin, overcome their inner demons, and resist the will of Corruption! MASK OF BEELZEBUB by Kevin Rodgers from Pro Se Productions! Terror Has Many Faces. Action Comes from Many Places. Horror Rises from Many Dark Spaces… And One Man has been bringing them all to Pro Se Productions since the beginning. Kevin Rodgers. 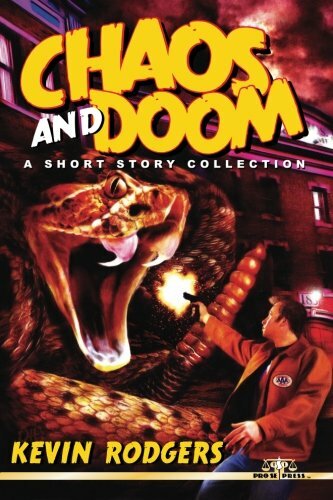 And now, from Kevin’s first works in the Genre Fiction field to his latest, you can find them all in one unbelievable short story collection- Chaos and Doom from Pro Se Productions! From the author of The Cadaver Island trilogy comes nine tales to chill, thrill, and challenge readers to go places they may never return from. Featuring short stories submitted by Kevin Rodgers since Pro Se entered the publishing field, Chaos and Doom is your guide to some of the most amazing characters and imaginative worlds in Genre Fiction.